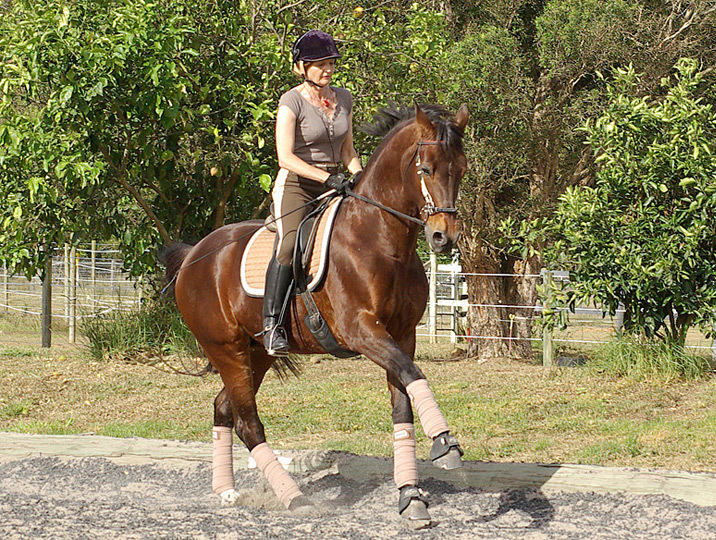 It’s a beautiful experience to ride a horse in advanced movements who responds to ‘the push of a button’. You learn how the horse should feel at this level. And what is more, riding bitless focuses both horse and rider on seat and leg aids, and on the most important aim of dressage overall, that is riding truely independent of the reins. A’Seduction is a true gentleman and team player at all of this. Sally is now offering Dressage Lessons on A’Seduction. This entry was posted in A'Seduction (Basil), Bitless training, Coaching on 30/11/2012 by Sally.